Info Elizabeth Warren says she “came up the hard way…out of a hard-working middle class family in an America that created opportunities for kids like me.” She has made her life’s work fighting for middle class families. 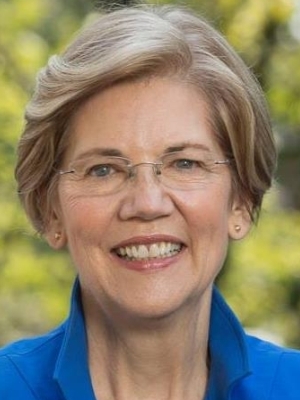 The Boston Globe calls her “… the plainspoken voice of people getting crushed by so many predatory lenders and under regulated banks.” TIME magazine has called her a “New Sheriff of Wall Street” and has twice included her among America’s 100 most influential people. She’s taken on big banks and financial institutions to win historic new financial protections for middle class families.